Wheel guides are becoming ever more popular due to health and safety, they are installed mainly at the entrance to a loading bay ensuring that vehicles line up with your loading bay doors. They have various different uses where a vehicle needs to be properly allinged to an entrance point. Call for a free quote today. 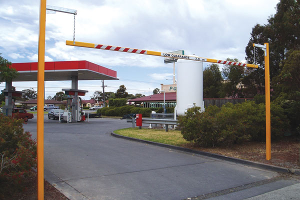 Height Restrictor Barriors are used in a number of different scenarios and locations, frequently seen in Car Parks with a height restricted roof or on Filling Station Forecourts. 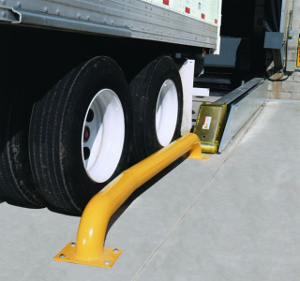 Height Restrictors stop vehicles that exceed a certain height to protect the property behind the barrier and also the vehicle from being damaged due to a heaight collision. 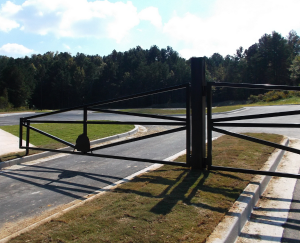 Swing Arm Barriers are Lockable Barrier Gates to prevent unwanted access which swing open to allow access when required, these gate barriers are used in various different scenarios including factory entrance etc.